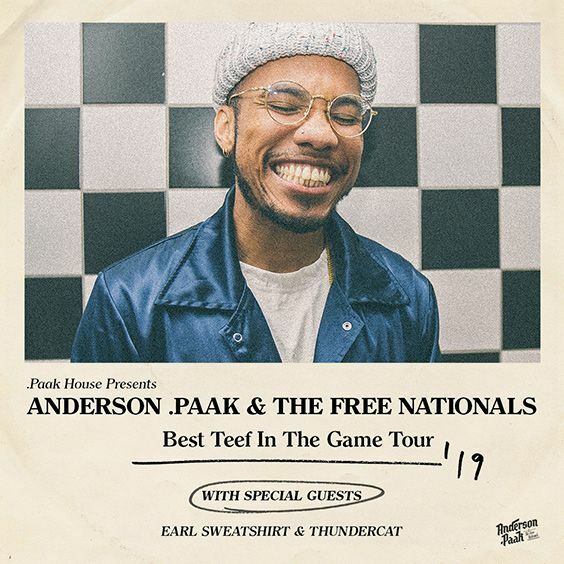 Live Nation is thrilled to announce ANDERSON .PAAK & THE FREE NATIONALS live at Red Rocks Amphitheatre on Friday, June 14th, 2019. Every ticket for this show includes a CD or digital download of Anderson .Paak’s forthcoming album, Ventura. You will receive an email with more details about this offer approximately 7 days after your purchase. US/Canadian residents only. Offer not valid on Resale tickets.